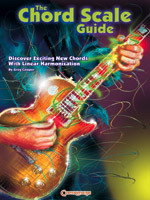 The Chord Scale Guide will open up new voicings for chords and heighten your awareness of linear harmonization. This will benefit jazz ensemble players, rock guitarists and songwriters looking to create new and unique original music, and understand the harmony behind chords. 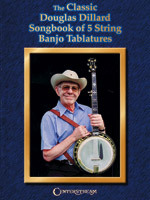 This long-awaited songbook contains exact transcriptions in banjo tablature that capture the unique playing style of Douglas Dillard. This fantastic collection includes all of his best-loved tunes, from "The Andy Griffith Show" to his solo banjo albums and his releases with The Doug Dillard Band. Features more than 20 tunes in G tuning, C tuning amd G modal tuning, including classics such as: Cripple Creek, Hickory Hollow, Jamboree, John Henry, Old Joe Clark, Buckin' Mule, and more. A must-have for all banjo players! A true music innovator, composer and saxophonist, John Klemmer is credited with paving the way for the smooth jazz and new age genres. 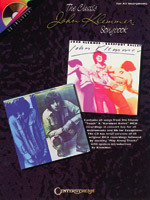 This unique book/CD pack contains Klemmer's actual recorded tunes from his hit MCA records Touch and Barefoot Ballet. Following the recorded versions are complete rhythm tracks for soloing and improvising. Songs include: Body Pulse, Crystal Fingers, Forest Child, Free Fall Lover, Glass Dolphins, Poem Painter, Rain Dancer, Sleeping Eyes, Talking Hands, Waterwheels, and more, in both concert key for all instruments, and in Bb for saxophone. Includes spoken introductions by Klemmer, a biography, and a foreward by Rheuben Allen, owner of LA'a famous Sax Shop. Every chord, scale and arpeggio is plotted out in every practical position and, with some dedicated study, one could play all of them in every position and in all keys. Written with just a minimum amount of text. Use this book for improvisation, studying or playing exercises. This is the best, most complete reference book you can buy. 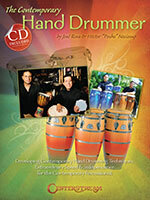 Develop contemporary hand drumming techniques with extraordinary speed &?independence with this book/CD pack. The foundation of Afro-Caribbean music is explained, including the clave concept, and a comprehensive chapter containing the patterns of many of the most popular rhythms. Includes clear instructions, logical sequences, and sections on applying rudiments and on independence training which have applications beyond hand drumming.